But then I realized I have a problem. Well, other than having too many hooks. My pens were getting lost among all those hooks. 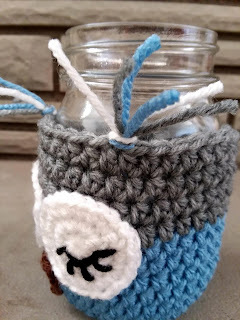 Solution... buy another mason jar and make another cute cozy for it. Introducing the sleepy owl mason jar cozy! I chose to make mine with blue and gray because eventually, those will be the main colors when I finally get around to redoing my office. But you can use whatever colors match your house. 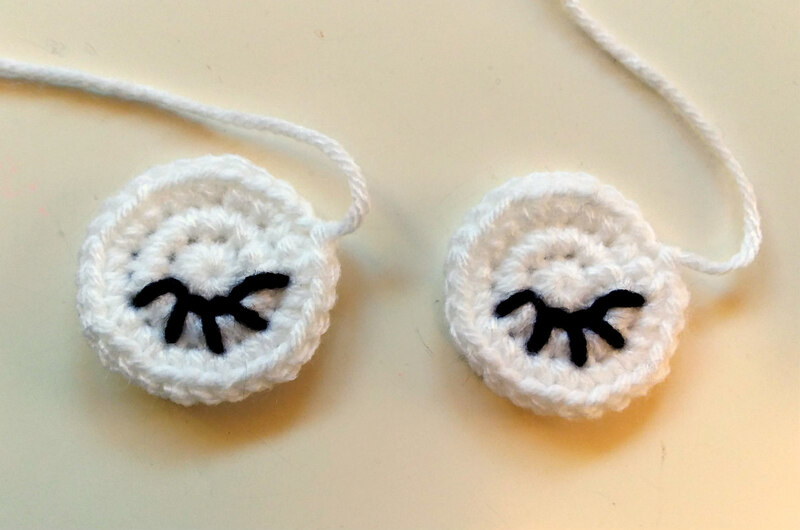 Following the directions below, this cozy will fit a 16 oz. 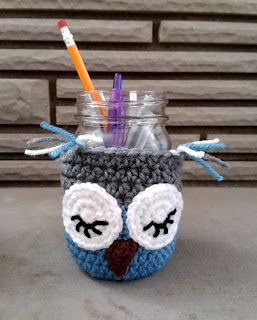 mason jar. To fit a larger jar, add increase rounds until your circle is slightly smaller than the circumference of the jar. Rounds can also be added after your increase rounds are complete to make your cozy taller. If you add rounds to the first color, be sure to add the same number in rounds with your second color. ~For Color 1, I used a baby blue. Color 2 is Heather gray. *Alternating between rounds 5 and 6 will give you a straighter seem . Rnds 11-14: Repeat rounds 5 and 6 three times, join and fasten off. Using a crochet hook and going from back to front, pull the folded side through a stitch in the top of the body on the outside edge of the eye. Pull the ends through the loop and pull tight to secure. Cut the ends to desired length.